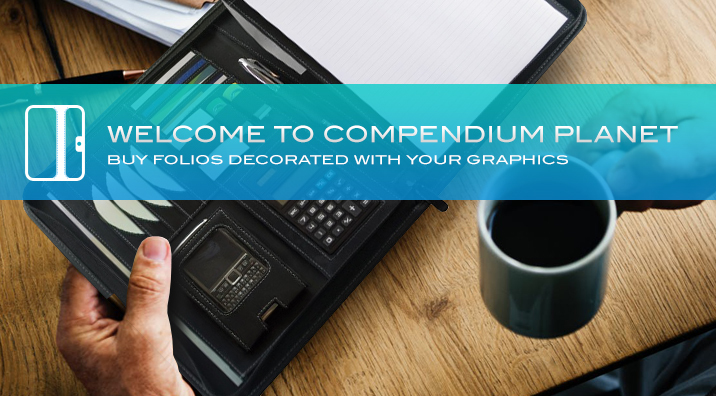 Here at Compendium Planet we supply high-quality compendiums custom branded with your logo. Select from our extensive range of deluxe leather padfolios and economical koskin folders, skillfully designed to meet everyday office and event needs. Grab the perfect corporate gift for your professional peers, staff or conference attendees by purchasing unique compendiums direct from Compendium Planet. We offer a large assortment of compendiums in various styles and colours, each professionally customised with your logo using methods such as pad printing, embossing, foiling and engraving. Select the branding method that best suits your organisation's character and we'll emblazon your design directly onto the folios of your choice. We deliver our personalised compendiums and tablet folders to organisations across Australia. 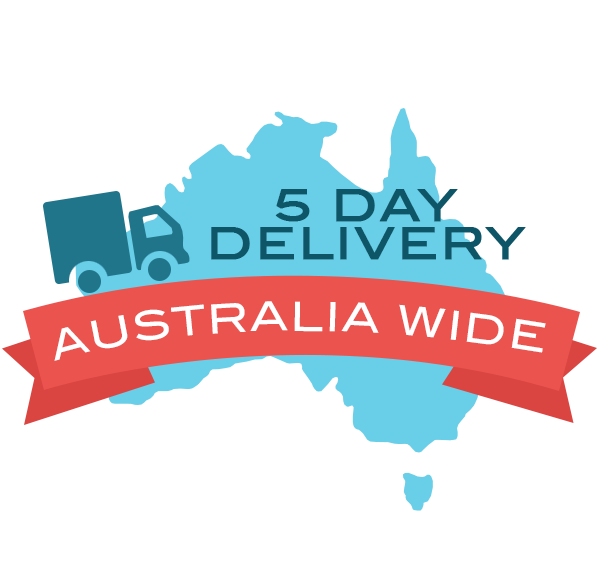 Whether you live in NSW, QLD, WA, SA, NT, ACT, VIC or TAS you can rest assured that we will deliver directly to your preferred location - metro or regional. If you would like to know more about our express delivery times, please contact our friendly sales team today! Why pay more for your promotional compendiums? Being one of Australias largest corporate providers of compendiums means that we can afford to pass savings on to you at every turn. We always provide the highest quality compendiums for every possible budget. Our efficient branding service also means that we can brand your logo on compendiums with a minimum amount of fuss and at a minimum cost. Not content with standard compendiums? 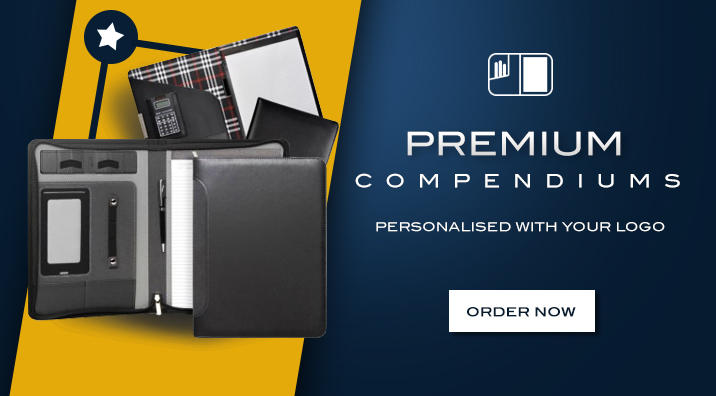 We here at Compendium Planet have amassed what is now Australia's largest range of unique, customisable compendiums. Please enjoy browsing our range of brandable compendiums in numerous styles, colours and prices. If you don't see anything that jumps out at you, then simply contact us and we may be able to source or custom create the compendium of your dreams! We may have competitive pricing and a huge range of products, but our service and customer care is strictly old school Australian. As a team that prides itself on excellence we will ensure that your ordering process is fuss free, simple and informed at every stage. Call us today to find out how you can have a beautiful compendium customised with your logo! 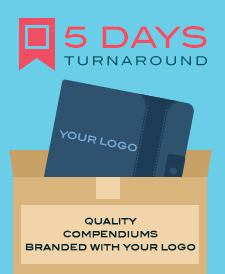 Here at Compendium Planet we can utilise a wide variety of methods to brand your logo. Decoration methods available include pad printing, screen printing, heat transfer, embossing, debossing and hot foiling. Ask our staff for more information on the right branding method for your order. We have it all! Buy custom compendiums from us and you will expect to receive : The best in Price, Value, Quality & Service. Why shop anywhere else? Imitation leather is synthetically produced to emulate the look and feel of leather. Is it convincing? Absolutely. Even seasoned professionals will struggle to notice the difference. The grain on the surface, the soft feel and even the smell is almost identical to leather. So order your next promotional compendium in faux leather. No one would ever suspect that you supplied a luxurious custom compendium at a fraction of the price. Compendiums made from Micro Fiber fabric tend to be quite cheap in price. However, this does not mean they low quality or aesthetically dull. Our micro fibre compendiums last just as long as leather and come in a terrific assortment of colours as well. Choose from colours such as Blue | Yellow | Green | Red | Black. If none of these colours suit your brand, just contact the friendly staff here at Compendium Planet and ask about custom colours! Embossing is a beautiful branding method that can be applied to leather and fake leather compendiums. A corporate compendium featuring your logo emblazoned via embossing never fails to impress. This method is particularly effective when you're seeking a solid executive look for your custom goods. Small details tend not to work well with embossing however for simple logos they look absolutely stunning. Screen Printing is a common branding method on compendiums. It is very cost effective and provides a vibrant, clean finish. It can accommodate larger print areas without additional cost and better still allows for branding of colours. If budget is tight or you simply want a nice clear simple logo then screen printing will give you the best results on your compendium. Laser engraving can only be applied to metal surfaces. So how do you engrave on a compendium? Well we stock many styles that feature a small metal plaque that is embedded into the compendium. This plaque can be stylishly engraved with your logo. The main advantage with engraving is that it allows for small miniscule details. So if you have an intricate logo then this would be the perfect option for your brand! The disadvantage compared to other branding methods is that the size tends to be a lot smaller and of course limited to the compednium's metal plaque. How is fake leather made?